When shopping around for the best AC that meets your budget and your home’s requirements, you need to take into account the brand’s reputation and customer reviews. 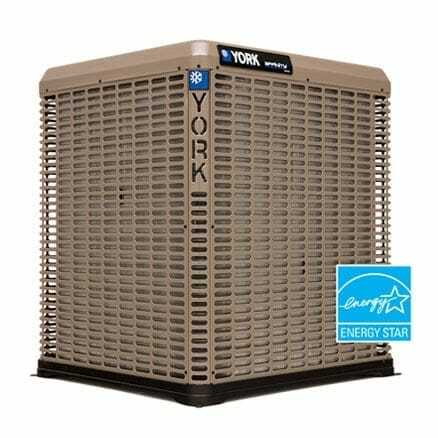 York is a particularly affordable brand known for its value pricing and one of the top brands for central air conditioners. It has been around as a company since 1874. Today, York makes residential gas furnaces, split-system air-conditioners and heat pumps under the Affinity, LX and Latitude product lines. Let’s go over what makes York a good or bad choice for certain buyers and we’ll help you decide if a York AC is what you’re looking for. York International Corp., based in Pennsylvania, makes durable and efficient ACs that are well known in the industry for their quality. They manufacture units that are designed to deliver efficiency even in hot climates, and their features are particularly user-friendly. Moreover, York central ACs are painted using a long-lasting powder coat that creates a quality finish that holds up exceptionally well in harsh weather. The finish on the units is 33% more robust than usual finishes. The York LX series of air conditioners contain microchannel coils built with an alloy resulting in continued reliability of the system. This is an industry-leading technology for AC units. The compressors are also internally protected to help them withstand extreme pressure and temperatures. This makes the air conditioners able to withstand harsh weather correctly. York offers the LX series which has ductless units. If you choose a ductless unit, you can save on the costs of buying new ducts in a home as it requires zero duct work. This is especially good if you have individual rooms that need cooling rather than a whole-house system. Some ACs are very noisy and can be disruptive. York provides the AeroQuiet II System in its air conditioners to keep noise levels as minimal as possible. The sound levels are as low as 72 decibels, which means you can be assured of quiet running of the unit. This smooth operation of the air conditioner ensures that you are not bothered nor are your neighbors disturbed in any way. York offers a 10-year parts, lifetime compressor and 1-year limited labor warranty for the Affinity AC series. It offers a 10-year parts, a 10-year compressor, a 10-year electric heat and 1-year limited labor warranty for the LX series. To get the full warranty York requires online registration within 90 days of installation. These are comparable to most of the competition but not as good as the lifetime warranty offered by a few manufacturers. York offers three product lines: Latitude, LX, and Affinity. Latitude is the smaller, less efficient, and more affordable option with units rated around 13 SEER. LX is a step up, with up to 14.5 SEER, and the Affinity line offers a wide range of products between 13 and 18 SEER, but it’s known for being extremely quiet and should be purchased when noise is a real concern. Most of York's products have received an Energy Star and a Good Housekeeping Seal. The two Latitude air conditioners, TCDG and TCGF, have SEERs of 13 and 14.5 respectively. TCGF is part of their "Ultra quiet" units. These air conditioners have earned Energy Star efficiency ratings according to government standards. All of York's air conditioners, including those in the Latitude series, use R-410A, a more environmentally friendly form of coolant than the previously popular R-22. The two air conditioners in this series also have SEERs of 13 and 14.5. In addition to the features of the Latitude models, they include the aluminum MicroChannel coil. They also use a more sophisticated compressor and fan parts, which require less maintenance. The LX air conditioners add coil protection between the grill and the condenser. They also use a different cabinet design. The YCJF model can be matched with a variable speed blower (the default has only one speed) to bring its SEER rating above 16. 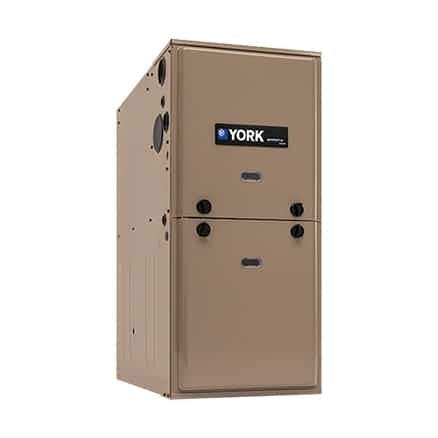 The York LX YCJD offers single stage cooling and is available in sizes of between 1.5 and 5 tons. The model operates quietly and is suitable for temperatures that don’t reach extreme levels. It one of the most affordable and reliable AC models in the market. 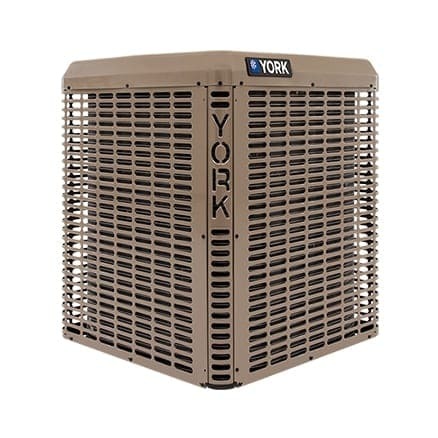 Affinity is York's premium air conditioner series. There are four models in the series. The models here that have lower SEER ratings compensate with other features. The single-stage Affinity TCHD is similar to the LX and has a SEER of 13. Its physically compact form makes it ideal for small spaces or even stacking. The CZB also has a 13 SEER rating but operates especially quietly due to a special fan design. It also uses the QuietDrive system, which involves the fan and the compressor. The CZF is a single-stage Energy Star certified unit with a SEER of 16. It brings to the table a ComfortAlert system, which provides a compressor monitor to the homeowner. The CZH is the most sophisticated model with a SEER rating of 18. It employs a two-stage compressor, which means it can operate at different speeds at different times, contributing to its high efficiency. It also features the noise suppression technology described above. It comes in seven different colors and the exterior uses powder-coated paint and sealed electrical connections to improve durability. Also, the model has a Comfort Control communicating system that makes it different from its equivalents in other brands. The system monitors the operation of the air conditioner protecting it from very high or very low pressure. Getting a new central AC is a big investment and it never hurts to get a discount on a purchase. We’re going to give you some advice on how to get the best deal on your York air conditioner. A savvy AC buyer waits until winter to make the purchase. Why? Because in the winter, demand for air conditioners is at its lowest and retailers have excess stock in their inventory. 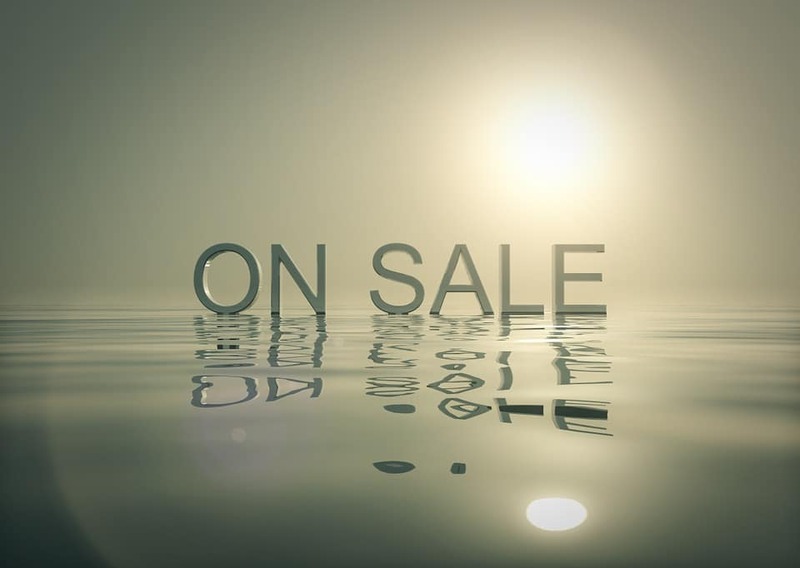 To encourage sales, appliance stores usually offer discounts to incentivize buyers to make a purchase during the off season. Secondly, when it comes to the installation of your York AC, do not compromise on the installer’s reputation. Picking a cheaper installer may save you a few dollars, but the costs of repairs and reinstallation due to a shoddy installation job may end up being a lot more. 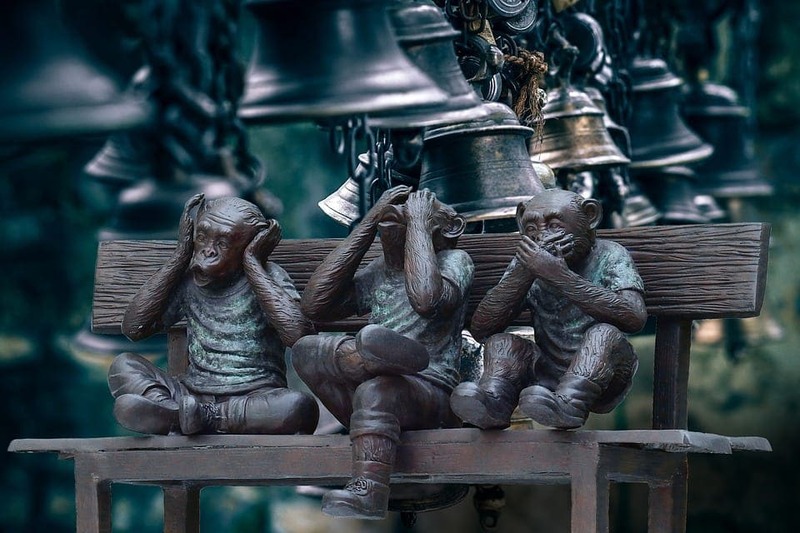 The cheapest quote may not necessarily be the best, especially if the contractor has many dissatisfied customers. It’s a good idea to also check the ratings on the Better Business Bureau website so that you know what kind of service and quality you can expect. 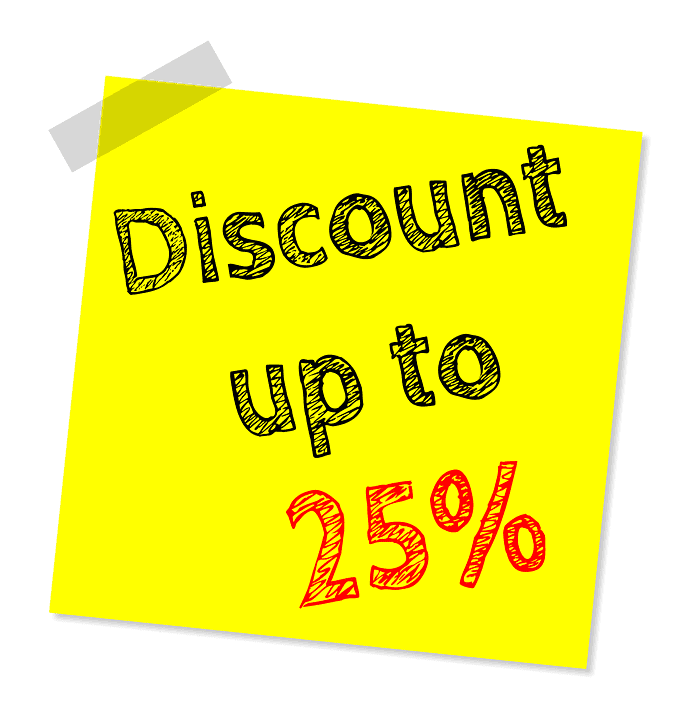 Wait until fall or spring to install the new system to get an off-season discount from the HVAC contractor, as the contractors are not as busy. Another way to really save money on a new AC is to check online for any offers, rebates or incentives being given by your state or local utility for replacing an outdated HVAC system with a newer, more efficient one. In case they both the state and the utility are offering a promotion, you may be able to stack both offers, thus saving yourself a good chunk of money. You should also check with the leading HVAC manufacturers if they offer any rebates. Finally, ask for at multiple bids from contractors before you make the decision. Ask them to factor in any applicable tax rebates and state incentives on efficient appliances into the bid. Keep in mind that you may need to wait a few days or weeks in order to get a quote, so unless it’s an emergency, start getting quotes well in advance of when you expect to get the new AC. York International Corp. is a global manufacturer of heating, ventilating, air-conditioning, and refrigeration products. It was founded in York, Pennsylvania, in the fall of 1874 by six men. It became a partnership in 1885, the year that the company built its first ice machine. In 1927 the company was reincorporated in Delaware, with nine affiliated companies, and was renamed the York Ice Machinery Corp. During World War II, York installed air-conditioning and refrigeration equipment aboard the ships of six countries and at military sites. York's business continued to boom with new innovations in the late 1940s and early 1950s. In 1956, Borg-Warner purchased the company, making it the York Division of Borg-Warner. By 1981, York was the second-largest maker of air-conditioning and related equipment in the United States. In 1986, York was spun off as an independent company, York International. York had operations in more than 120 countries in 1994, including sales and service organizations. At the time of its acquisition by Johnson Controls in 2005, it was the world's largest independent manufacturer of air conditioning, heating, and refrigeration machinery. York has been providing quality products for over 100 years. Like many of its competitors, York has product lines that suit a variety of budgets and home sizes. Whether you need a central AC or a split, whether you have space constraints or not, York makes a model that is right for you. When selecting the model you want, take care to choose a reputable contractor for installing the AC, and use our guidelines to get a good deal on the price. Interested in researching other AC brands? Read our complete AC buyers guide here.